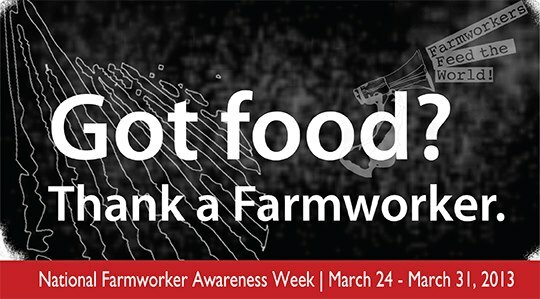 The University of Idaho will celebrate Farmworker Awareness Week from Monday, March 25 through Saturday, March 30th. Farmworker Awareness Week raises awareness on college and university campuses across the United States, as well as in communities, of farmworker issues. It also focuses on the issues surrounding women farmworkers. The national awareness week is celebrated during the week leading up to Cesar Chavez’s birthday on March 31. Cesar Chavez was born near Yuma, Ariz., in 1927 to a poor family who lost its home in a bad land swap. Shortly after, Chavez moved with his family to California in search of farm work. Throughout his life, Chavez experienced the inequalities and poor working and living conditions imposed upon farmworkers. In 1962, Chavez founded the National Farm Workers Association. He later joined with Dolores Huerta to create the United Farm Workers – or UFW. The UFW strives to provide farmworkers with safe work conditions and better pay. Monday 3/25: Mariachi Huenachi performance & Farmworking Presentation- UI Commons Foodcourt, 12:00pm. The band is from Wenatchee, Washington. Information table & Bandana Project- Upper floor of UI Commons, 11 am-2 pm. The Bandana Project is a public awareness campaign aimed at addressing the issue of workplace sexual violence against migrant farmworker women in the United States. Tuesday 3/26: Through the Eyes of a Farmworker- Outside UI Commons, 11:00 am. This event showcases the life of a migrant worker. ‘Agricultural Workers in Idaho’- Kenworthy Performing Arts Centre, 6:00pm. CAMPOS Blood Drive- TLC 2nd Floor Foyer, starting at 11:30 am. The blood drive is part of a challenge competition that campuses throughout the United States participate in. Information table & Bandana Project- Upper floor of TLC, 11 am-2 pm. Wednesday 3/27: Through the Eyes of a Farmworker- UI Commons Whitewater Room, starting at 11:00 am. Information table & Bandana Project- Lower floor of TLC, 11 am-2 pm. Thursday 3/28: Become a Farmworker Advocate workshop lead by Marc Grossman- UI Commons Clearwater Room, 12:00pm. Keynote Speaker Marc Grossman (Cesar Chavez Foundation Communications Director)- UI Admin Auditorium, 7:00 pm. Saturday 3/30: Grupo D Cinco Dance- UI SUB Ballroom, 9 pm-1 am. For ticket information and more, contact the CAMP Office. * Download a flyer of the event here Farmworker Awareness 2013. Farmworker Awareness Week is sponsored by the University of Idaho College Assistance Migrant Program, along with many University groups, departments, and community organizations. This entry was posted in Upcoming Event and tagged cesar chavez, education, film, idaho, Moscow-Pullman, movie, multiculturalism, speaker, uidaho. Bookmark the permalink.